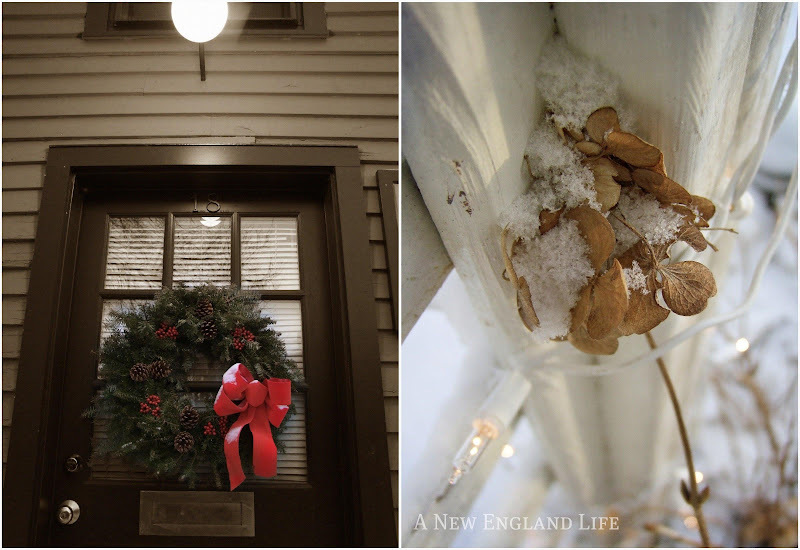 A New England Life: On this day . . .
. . . I awoke to the sound of snow plows going up and down our street. Since I had to bring my daughter to work at 7 am, and there was a fresh inch of snow on the ground, it seemed like the perfect time to get out and take a few photos. Beautiful. Thanks for the uplifting photos. You made my day! Beautiful photos Sharon! Love the blog layout and theme. I'm so glad you decided to take some photos. I love the hydrangea with the lights behind. And the rest. Thanks for the happy photos!!! They are certainly beautiful!!! Have a wonderful week!!! Sharon, all you are and all you offer is beautiful. Smile. No need to move the dial, Ok? Great shots as usual. And Lily is so cute! I can see why you like the tractor, such a fabulous subject. Hope this week is kinder to you. Take care. Love that old tractor given dignity with a lovely wreath! The puppy is soooo cute! 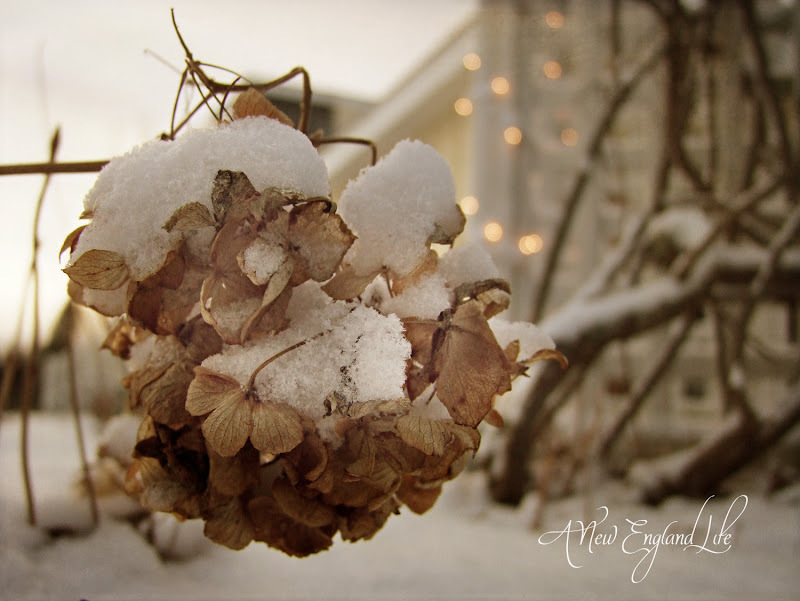 Amazing how much quiet elegance there is in dried hydrangeas with a dusting of snow. May God give you much strength in your emotions and the things you face. I understand how life can take up all your spare emotions and time. I am glad you were able to escape for awhile taking some pictures and they are stunning. Love the old tractor. Take care and have a great week. A beautiful day to get out and snap some pictures...they are lovely! Wonderful photos, as usual... so glad to hear you have taken some time to find your own joy! 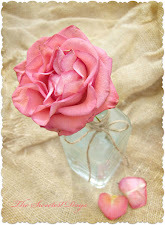 Visiting your blog and seeing your photos always bring joy to my eyes! Wishing a better week ahead! Your photography is amazing. Lily looks quite happy to be included. Love the tractor. Well done! 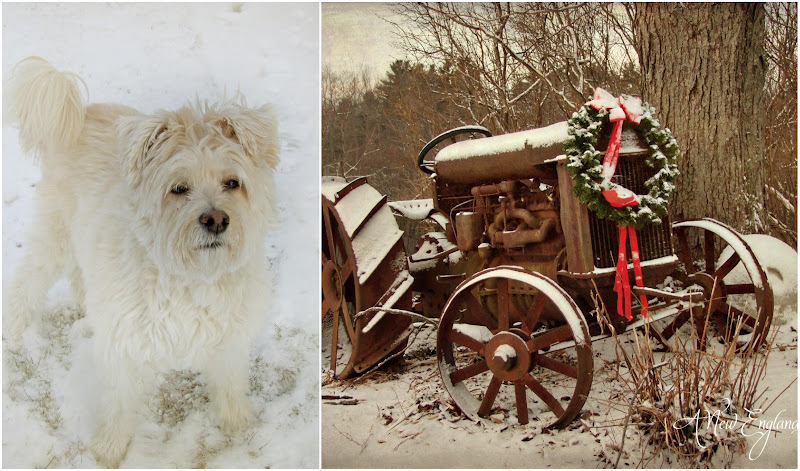 Beautiful photos, especially the old tractor. Sharon your photos and posts always give me joy. I too find myself escaping to my blog to feel hopeful about the world around me. I hope life is being kind to you......but if not and you want to talk send me an email and I'll be happy tp listen. A very lovely post. Wonderful photos. I quite like the sepia-tones. Ooh, the tractor is my favorite. I hope you are finding our way through whatever issues you are dealing with and taking care of yourself in the process. These are worthy of publication and put me in mind of Victoria Magazine. I'm sorry to hear you've been struggling with something. Don't hesitate to let me know how I can support you. I mean that. 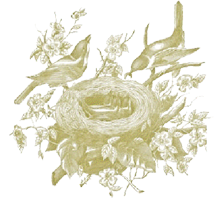 I have a private e-mail address on my blog sidebar, if you ever want to reach me. I am sorry to hear that you are dealing with something that is getting you down. Believe me when I tell you that your photos brought joy to my heart. I love the first hydrangea with the bokeh of the lights in the background. So beautiful, Sharon. these shots feel distinctly new englandy. very fresh and charming. More snow is on the way here..this is becoming a very snowy winter! Hope brighter days are ahead! I am loving your blog. Your photography, your home... your location ( I have always loved New England. :) Everything is just beautiful. Your snow photos are just beautiful. We are living the same scenery here Sharon! Your blog is beautiful. Thank you for sharing your lovely photos. You are very talented! I hope you find even more joy this week and that your burdens are lifted. Your photographs are truly art and I so enjoy them! Oh, you've got the greatest photos. You seem to catch the essence in everything. Love them. I hope your issues is soon to be solved the best way for you. Thank you for your always so kind comments. But how do I become a folower of this?? The Photos as always are beautiful. I love the dog . Hope you are staying warm with all this snow. So glad I stumbled across you, your blog is lovely. Love the new header, Sharon! I saw the tractor in your flickr stream. Thank you so much for sharing your scenes of beauty with us, Sharon. You are SO talented! I hope everything is well with you. These are all gorgeous . Your right life happens and it just does to each of us in its own way. That first shot of the hydrangeas is out of this world!! !